Be stronger, heal faster and get back to living life. In a single lifetime, a person may experience pain more than 25% of their lives. Pain is never easy to deal with, nor is it something we typically allow to get in the way of our daily routines. Our society has built ideology around the idea that we should not experience pain, when in fact pain is a part of living life and a natural part of our human physiology. It’s how you deal with pain that can adversely affect your life or lifestyle. The human body is designed to endure pain and injuries throughout the years. Physical Therapists are the one profession who has spent over 100 years studying the bio-mechanics, anatomy, physiology, and mechanisms that affect the way our bodies move, respond to injuries, and react to pain. As Physical Therapists, we have dedicated our lives to treating pain and injuries of the human body through exercise, hands on techniques, and movement performance without the reliance upon medications to mask symptoms or invasive surgeries that may be prevented. A Physical Therapist should be your FIRST call when you experience pain or an injury. 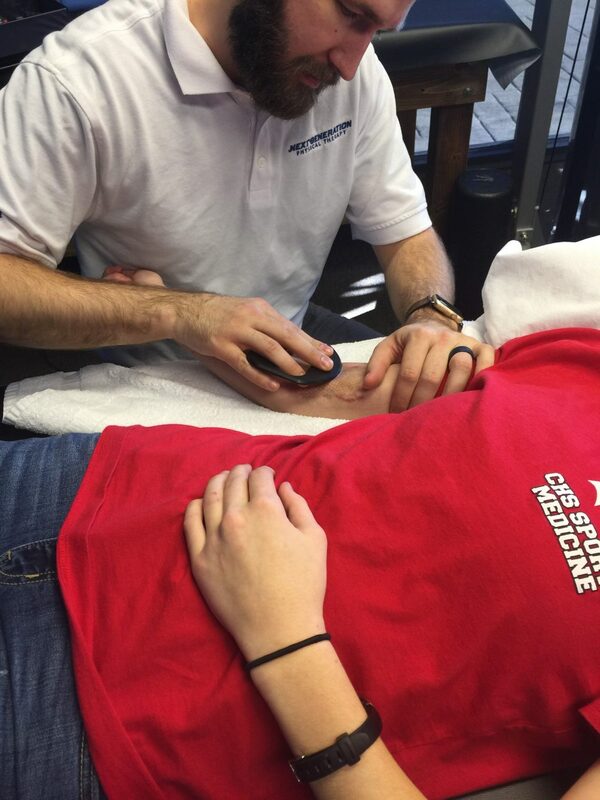 Let them do an EVALUATION to find the root CAUSE of your symptoms, assess your condition, and discover the cause of your pain through a hands on and movement based evaluation. From there, they can determine the best course of treatment for you; whether that means being treated by the Physical Therapist or being referred out to another medical professional or specialist. If you do find yourself needing surgical intervention, your local Physical Therapist can help guide and instruct you through to pre and post surgical process. Hip and knee replacement surgeries are some of the most common operations performed in the U.S., with about 1 million completed each year. And each one of these patients share one thing in common: their desire to get back to the level of work, play and function they enjoyed before first experiencing joint pain. The physical therapy team at Next Generation can get them there. Working with a physical therapist before these and other surgeries can vastly improve your strength, education and confidence going into such a major procedure. In turn, these “prehabilitation” efforts can improve the speed, success and cost of your rehabilitation experience post-surgery, getting you back to doing the things you love – free of pain. If you face the possibility of surgery and wish to learn more about what physical therapy can do (pre and post-surgery) to make you stronger, heal faster and get you back to life quickly, call us to schedule and evaluation. We’ll work with your physician to chart a path that’s right for you. My surgeon told before my surgery that my rehab (catastrophic rotator cuff arthroscopic surgery) would almost certainly be the most painful experience of my life. Straight faced and as plainly honest as anyone has ever been. Naturally, anxiety and dread plagued me during my 6 weeks of post-op immobility. My surgeon recommended Next Generation in Cabot. I am being treated by a professional and friendly staff 3 times/week. Their facility is very well appointed with all the equipment, machines, weights, massage tables, etc. and enough floor space to accommodate several patients at the same time. 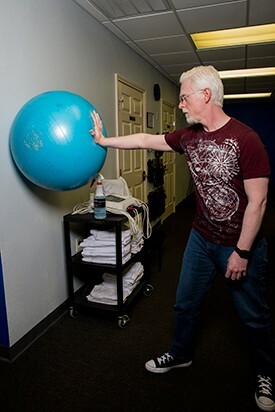 My rehab/treatment program is designed to my specific needs of recovery/rehab, increasing range of motion and strengthening my shoulder/arm while decreasing my pain and discomfort. Dr. Jacob and Dr. Emily are always mindful to educate, encourage and prepare you for every phase or level of treatment. I look forward to my appointments as an opportunity to continue the hard work of progress. If you are shopping for a facility to professionally manage your physical therapy/rehabilitation needs by friendly and courteous staff, I suggest you visit NEXT GENERATION in Cabot. Mike C.
When running, you can exert forces up to 4 times your bodyweight. Our staff are highly trained in a wide variety of treatments that allow us to serve patient populations of all conditions, ages, and limitations. Independently owned & operated in Cabot, Arkansas. Why the name Next Generation Physical Therapy?